Mad Science has fun down to a science! Designed by a professional team of educators and scientists, Mad Science On-site, In-class Field Trips are designed to meet curriculum requirements and STEM objectives. Students have the opportunity to learn by asking questions, observing demonstations, completing experiments and building take-home projects. In addition, our programs have been correlated to match your curriculum requirements for every grade level. Our Mad Scientists use professional lesson plans that meet state curriculum requirements to present ideas with terms, phrases and language that kids can understand. Structured as an onsite, in-class field tripscience concepts are presented in innovative ways that draw your students into the exciting world of possibility and discovery without leaving your classroom. Through the use of real life examples from the world around them, our proven method engages your students in active and experiential learning that heightens understanding, retention and application. In addition, each of our one-hour on-site field trips comes with a valuable Teacher Resource Guide which contains preparation and review materials, extension activities, vocabulary and a bibliography. Mad Science on-site field trips offer preschool to sixth grade students a truly engaging science learning experience. Dozens of topics are available. Teachers do not always have the time and resources required to prepare interactive science programs. Mad Science’s experienced instructors come right into the teacher’s classroom with all the equipment, supplies, and staff. Our programs are fun, educational and focus on real world science and engineering practices that work to reinforce science concepts and methodologies. 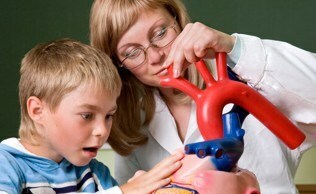 Choose one, or a series, of workshops from our extensive list of science topics. Date: It is suggested that you reserve your workshop approximately 6 weeks in advance, thus allowing you time to complete the pre-workshop exercise. Time: Mad Science workshops last between 30 minutes and 1 hour. Download the Teacher Resource Package from the link you receive once you have booked your workshop. The Teacher Resource Package is filled with crosscutting concepts to help you integrate the content covered by the workshop. It provides you with activities to do before, and after, the workshop. The day of the workshop - Have fun! Let us do the work!! 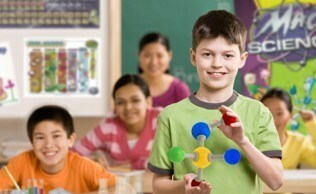 Children will learn about science by building, touching and feeling their science experiments. We leave students inspired and hungry to learn more. We spark imaginative learning! If your child's school does not yet have Mad Science programming, please talk to your child's teacher or principal. Mad Science can customize programming for your child's school or district curriculum. Workshops are aligned to STEM objectives and meet national, state and provincial curriculum standards. If your company is interested in sponsoring a Mad Science educational on-site field trip, we invite you to call us today.